Select Structural Posts and Timbers are graded primarily for strength, but can be used also for good appearance. 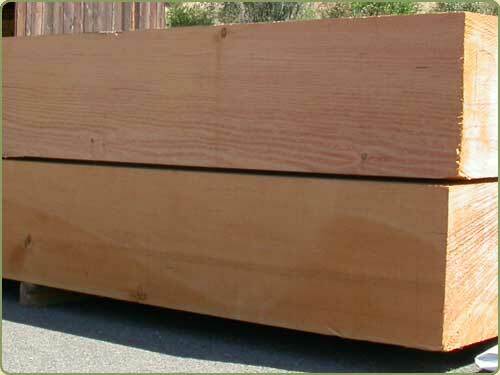 The picture shown above is an example of super high end Select Structural Grade Douglas Fir. Most select structural Douglas Fir is not this clear. We can get them but if you just call for Select Structural it will not look this nice and clear. Select structural is not the same as a clear grade. It will still have knots, checking and other natural occuring characteristics allowable within the industry standard grade rules. cv - Clear Vertical Grain - This is the top quality grade available. d - D & Better - Appearance grade for paneling applications. ss - Select Structural - Timberframes and post and beam buildings can have great looks too. 1 - #1 and Better - A great grade for applications where appeareance and strength are both important.